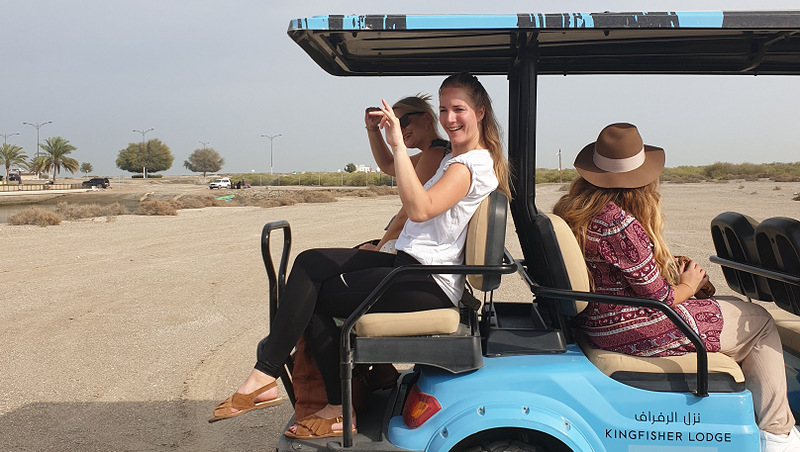 Last week, we escorted a group of Nordic influencers to the amazing emirate Sharjah. Sharjah is the third largest of the seven United Arab Emirates. It is located along the southern coast of the Persian Gulf on the Arabian Peninsula. Sharjah is regarded as the cultural capital of the UAE, and was named the Islamic culture capital in 2014. 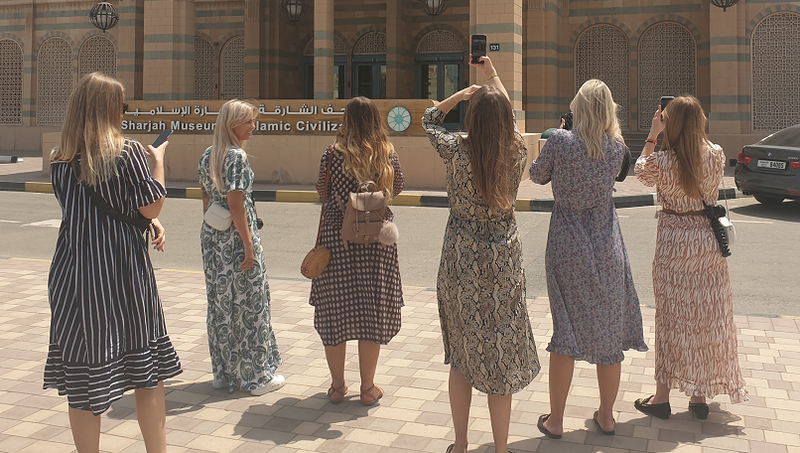 On behalf of Sharjah Tourism, Related selected, invited and escorted a group of Nordic influencers to the emirate for 3 full days of adventure and exiting experiences, among which was a visit to the famous Al Noor Mosque and the nearby Al Noor Island with its house of exotic butterflies, artistic sculptures, maze gardens – surrounded by azure waters, overlooking the Sharjah skyline. We also had the unique opportunity to visit the home of Fatima Al Mughni, Director of the Social Development Center in Khor Fakkan. She hosted us for lunch to try local Emirati cuisine and to gain a firsthand insight into Emirati culture, history and heritage. 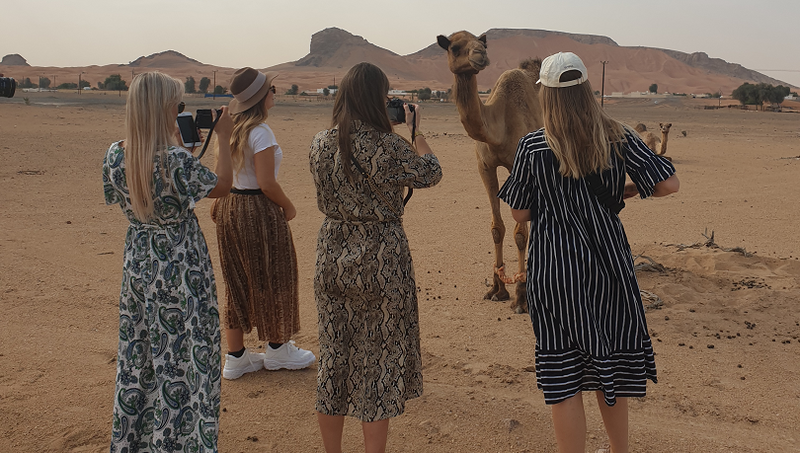 Other highlights were a desert safari, including camel rendez-vous and a visit to the Mleiha Archaelogical Centre – and a visit to the amazing Rain Room – and experiential artwork which has previously been shown in a number of international art venues, including New York’s Museum of Modern Art – and now has found its first permanent installation in Sharjah in 2018. 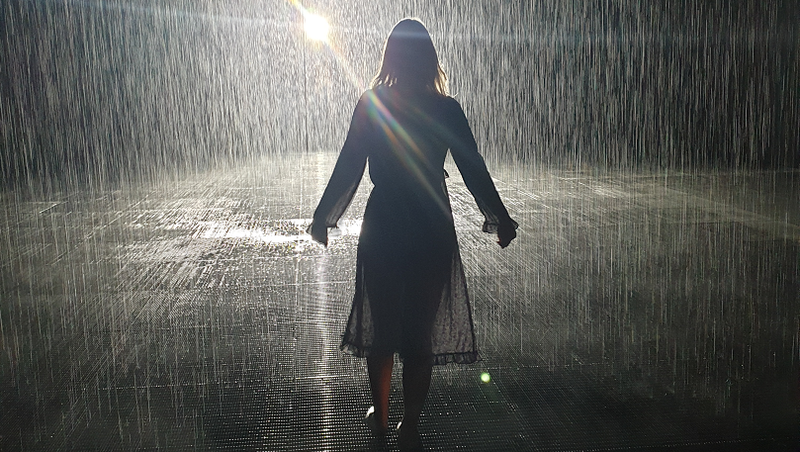 The Rain Room allows visitors to walk through a downpour without getting wet. We stayed 4 nights in 3 different hotels, the amazingly beautiful Al Bait Hotel, the family friendly beach resort Ocenanic Hotel, and the unique eco-friendly King Fisher Lodge where each person had their own luxury tent/cabin. Truly an amazing experience which have been heavily documented on the influencers’ blogs and SoMe. See the Norwegian blogger Widveys YouTube video here. See Related’s Insta-story from the trip here.